I used to think pancakes were all the same until I made these, YUM! * Or use rolled oats chopped into finer pieces in a grinder or food processor. Sift together the flour, salt, baking powder, and nutmeg. Add the oats and mix well. In a separate bowl, stir together all of the wet ingredients. Make a well in the dry ingredients and stir in the wet ingredients just to combine. Lightly oil a skillet or griddle and place on medium-high heat. 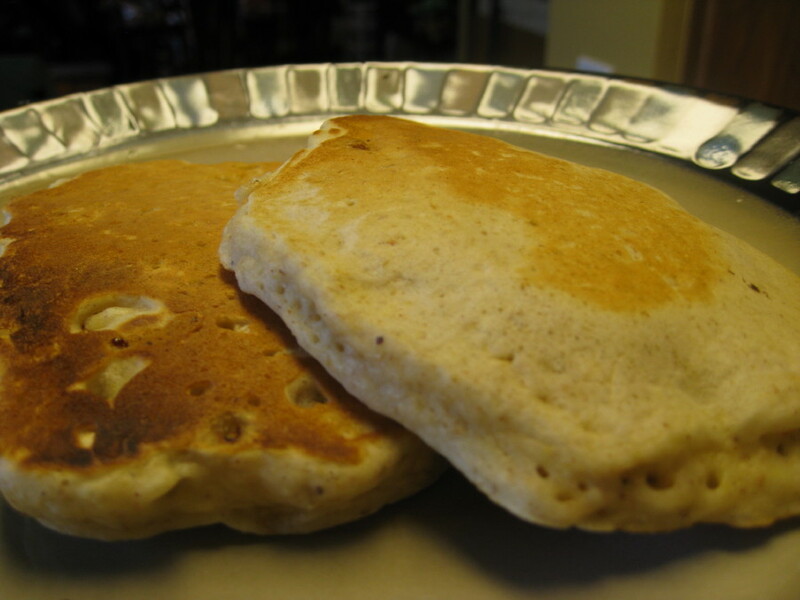 Use about ¼ cup of batter for each pancake and cook until bubbles appear on the top, about 1 to 1 ½ minutes. The bananas will settle to the bottom, so you want to flip these pancakes just as soon as bubbles start to form to avoid scorching them. Cook on the second side until golden brown, about 1 minute.